Winter is a beautiful time of year and offers many opportunities for amateurs and pros alike to hone their skills and capture some great images. Whether you have a simple point-and-shoot or an advanced dSLR, there is something for everyone in this list. Have warm boots, regardless. On a recent photographic excursion into the Great White I was wearing an old pair of boots that had cracked in the rubber along the side near the toes. Every step I took allowed snow into my boots, and by the time I got home I was wringing water from my sock (which was wrapped around a numb foot). Don’t over-dress. To some it may sound stupid, but anyone who has spend any time outside in cold weather will tell you the same thing. It is better to feel a slight chill while standing still rather than overheat while walking, giving the cold temperatures the opportunity to chill our sweat and possibly lower your body temperature, potentially leading to early-onset hypothermia. Sunglasses might be a good idea as well…just to keep your eyes from frying due to the sun reflecting off the snow. 2. Keep your camera cold. Keep my camera in the freezer like a bottle of cheap vodka? Not exactly. Ever notice how your glasses instantly fog when coming into warmth after being out in the cold? The same can easily happen to your camera, fogging the mirror, causing harmful condensation inside the lens, and maybe even shorting out electronic components (provided you’re part of the 21st century and using a digital camera). Do not place your camera under your coat in hopes of warming it up or keeping your batteries from draining too quickly (discussed below). The warmth of your body heat and the moisture from sweat can be potentially harmful. Plus, there is nothing worse than whipping out your camera for that once-in-a-lifetime shot only to have it fog up as soon as it’s re-exposed to the cold. Batteries drain faster in colder temperatures, so it is wise to carry extras and maybe keep them in a pocket or inside your coat, closer to your body heat, until they are needed. Newer lithium ion batteries have less problems with this, but it’s still good advice, nonetheless. 4. Keep your gear easily-accessible. Nobody wants to be fumbling around in a bag for gear when they need it or dropping equipment in the snow. You also don’t want to be setting your bag down in the snow and risking any kind of water saturation. So, whether you’re using pockets, a backpack, or an actual camera bag, make sure you can reach your gear with little effort. I’ve actually been experimenting with a DIY camera bag made from a large laptop shoulder bag with homemade dividers inside for my gear. So far, it’s been working well and is very versatile and convenient when out and about, but I haven’t yet nailed it down completely. I will post an update in the future when I have more feedback to share. 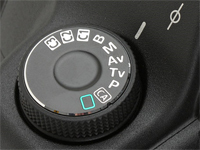 Granted, some older cameras, or even newer, lower-end models, lack the ability to shoot in RAW. However, if at all possible, capture your images in RAW format. This will give you the greatest flexibility in post-production and will allow you to easily fix problems that would be harder (if not impossible) to correct if shooting in JPEG. If you’re intimidated by the larger file size, be sure to (apart from growing a pair) bring along extra (or larger) memory cards (something you should already be practicing) to accommodate the increased size. 6. NEVER delete images in the field! It can be tempting to delete an image after taking a peak at the LCD or when fearful of running out of room on your camera card. But never delete an image until you have had a chance to view it on a larger screen indoors. There have been many times when an image that looked like crap in the field turned out to be a wonderful image once I had a chance to fully examine it. Use your histogram to determine the exposure your camera is getting (discussed below), or simply bring along extra memory cards. 7. Be aware of your footprints. As you’re walking through the snow, keep in mind your intended shot. Be careful that you do not walk through an area that you hope to include in a future shot…unless footprints are the intended purpose. 8. Use your camera’s manual mode. Snow is bright and can be overpowering for your camera’s light meter. Using your camera in AUTO, or even APERTURE/SHUTTER PRIORITY mode will undoubtedly result in dark images since the camera is reading all of the bright light reflected from the snow and compensating accordingly. The best way to overcome this is by shooting in MANUAL and compensating accordingly. or by aiming at a dark object and pressing the shutter halfway to get a reading, then moving the camera (with shutter still halfway depressed) to reframe and capture the shot. 9. If you have a light meter, use it! Reference number 8 above. Shoot in manual, and use your meter. Enough said. 10. Slightly over-expose your images for whiter snow. This may sound contradictory to numbers 8 and 9, but snow is a tricksy master. While it looks beautiful, crisp, and white to the human eye, your camera doesn’t always see it as such. Oftentimes snow in a photograph can have a blue tint to it or look grayed out. One way to overcome this is, yes, by using a gray card and setting a custom white balance. But the hassle involved with doing so, especially when braving the elements, can simply be too cumbersome. So, building upon the last several points about metering and exposure, be sure to give your photos a little more light than may be entirely necessary. If things get a little too bright, you can tone it down in Lightroom or Aperture (or your own favorite image editing program) later. 11. Use your dang histogram! Again, maybe your camera doesn’t have this capability, but most digital cameras, and especially dSLRs, do. Do not rely on the image seen on your LCD screen! This can be distorted by the fact that, after all, it is just a small screen, or maybe the backlighting is slightly off, or (a more likely case) the brightness of the snow surrounding you throws off your perception causing under-exposed images to look bright and correctly-exposed ones to look washed out. It can be very tempting to delete images based on these previews, but, as mentioned above, do not delete any images in the field, regard less of how crappy they appear to be on the camera. 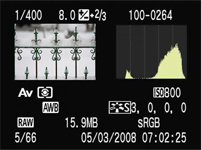 Use your histogram to determine what actual exposure your camera is getting. You may also use your histogram as a guide for adjusting your settings while shooting in manual mode. 12. 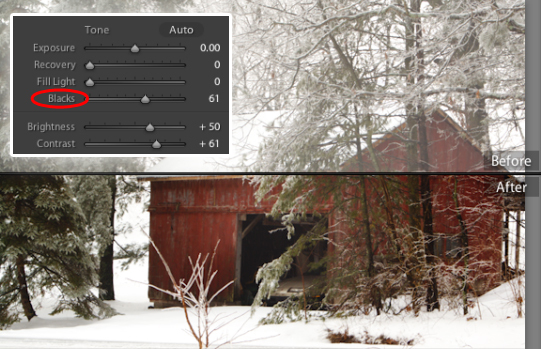 Magically remove falling snowflakes from your images in the field. Sure, feel free to break out your best Harry Potter impersonation, but I doubt it will do you much good. Sometimes, when shooting in falling snow, the snowflakes closer to the camera have a tendency to get in the way and detract from the image. A simple way to eliminate this is to mount your camera on a tripod, decrease the ISO, increase your aperture, and shoot with a delayed shutter — the longer the better. The snowflakes will not have enough time to be captured by the camera as they are falling, thereby giving the illusion that they do not exist. Pretty wizardly awesome, eh? 13. Break up your shots; don’t photograph only snow. Be sure to include some other elements in your photograph besides snow. Sure, the powdery goodness is very enticing, but it has an unsettling propensity for blending together in the camera, making it hard to decipher where one batch of pure white ends and another begins. Unless your goal is to produce a shot of glorified whiteness, add a little interest by including other elements. 14. Warm your camera up slowly. This goes back to whole issue of condensation forming inside your camera or lens. The best way to eliminate this threat is to place your gear back into your bag and close it up before bringing it in and allowing it to sit for a while before opening it back up again. This allows your gear, particularly your camera, to slowly warm up to room temperature along with the rest of your bag and its sundry contents. If you need to get your memory card out of the camera, be sure to do so before going inside. That way you won’t risk prematurely exposing your camera to the warm air. 15. Breathe life into your photos. Granted, they won’t start dancing around the room, but take some steps, if you don’t already do so, to breathe some life into your images during post-production. The intense white from the landscape, coupled with commonly-overcast skies and atmospheric haze, can result in a great lack of color depth and a general fuzziness in the photo. A simple fix for this, at least in Lightroom and Aperture, is to increase the black clipping in the image. This will bring out some of the detail that may have been lost, increase the image saturation, and work to eliminate that annoying haze (see example above). Feel free to share your tips and advice in the comments below! Best i’ve read in a while! What part of pa are you from? I have family around Altoona area. Love the detail and humor! I wish more how-to’s could be like this. How much gear do you carry with you into the field? Great pointers! Could have used a little more detail on a few of them, but still good nonetheless. Hey, Allen! Thanks so much for the advise! We got hit pretty hard up here in New Eng. and I can’t wait to get out and take some pics!